In order to understand how roles, permissions and users work, you’ll need to start with understanding the workflows available in Circulus. Workflow is really just a function of the users you have in the various roles available. The most complex workflow includes a review phase, which you may or may not use. 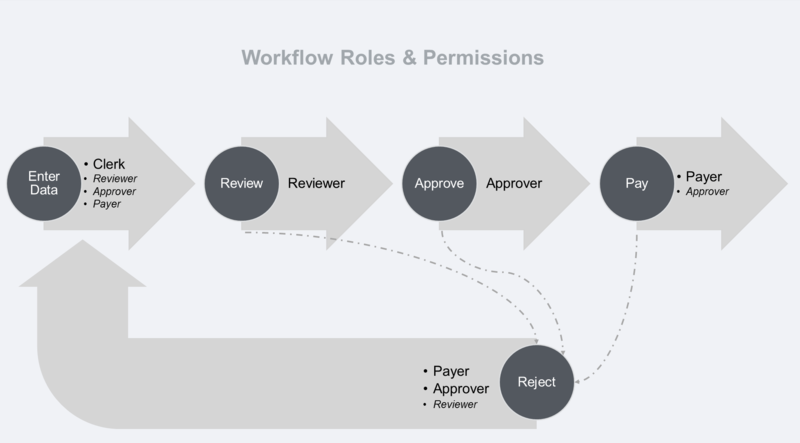 However, it’s important to understand all workflow phases to understand roles and permissions. The first step for you is to determine which workflow fits your organization. 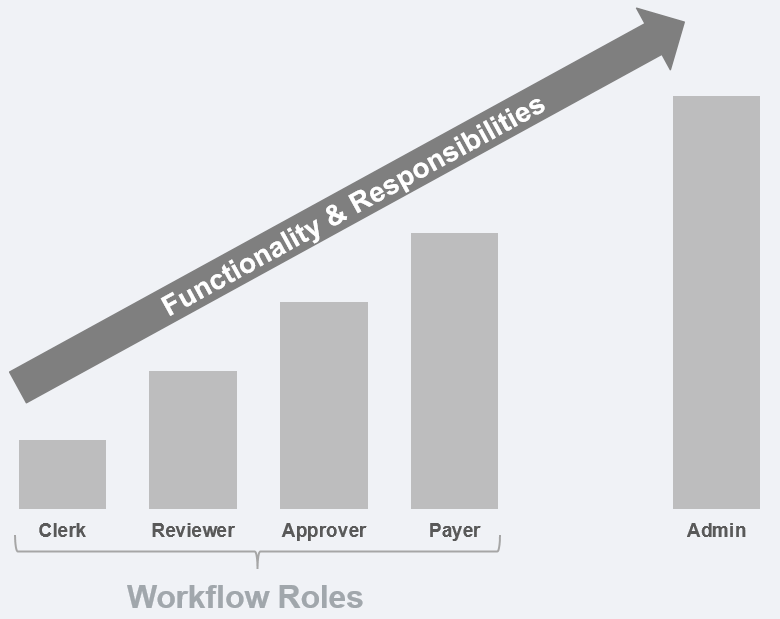 As previously noted, workflow is a function of users in roles that play a part in your desired workflow. For example, adding a user in the role of Approver serves no purpose if you aren’t using a workflow that includes “Approve.” Once you have an idea of what your workflow needs to look like, you can dive deeper into roles and user permissions. In Circulus, you have several roles available, and each is designed to serve a specific function. The simplest of these roles is the Clerk, and at the top is the Admin, the role with all permissions. Except for the Admin, each of these roles has a place in the workflow. Also, as you move through the workflow, the breadth of functionality, and related responsibilities, goes up. Note that in this illustration, the roles listed next to each workflow step have permission to perform that step. For the roles in italics, permission to perform that workflow step is optional. As illustrated, permissions define what tasks users in a given role can perform. And the ability to perform a given task controls what that user sees in the interface. 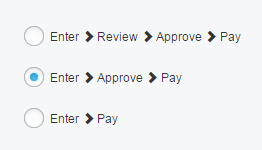 For example, a user who is in the role of reviewer isn’t allowed to pay bills, so they don’t see the pay bills screen. This is important to understand as each user’s interface is customized based on their permissions. If the user you add is new to Circulus, they will receive an email informing them that they have been added to your company account and to create their password. If they already have login information for a company account, they will simply receive an email informing them that they have been added to your account.